After making waves with the launch of the NX 300h, Lexus India has announced that the SUV will retail at an initial price starting from INR 53.18 lakhs (ex-showroom). The NX 300h was unveiled in India on November 17, 2017. The NX 300h Luxury will be available at INR 53.18 lakhs (ex-showroom), while the NX 300h F-Sport will be available starting at INR 55.58 lakhs (ex-showroom). 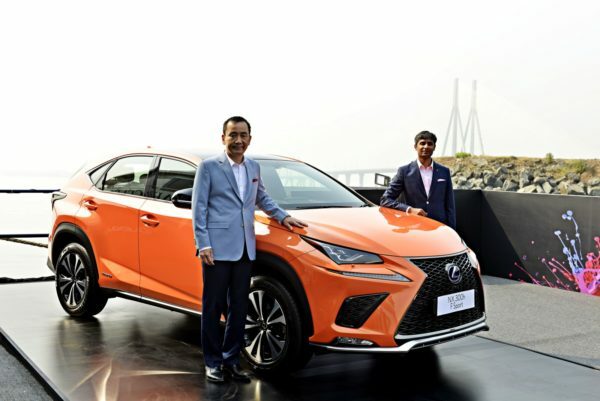 The SUV will retail at a uniform price across the country and will be available at Lexus Guest Experience Centers in Mumbai, New Delhi, Gurgaon and Bangalore, and Lexus authorized service corners in Chandigarh, Hyderabad, Chennai and Kochi. The BS 6 compliant NX 300h features a 2.5 litre, 4-cylinder in-line engine, which produces 145 KW (197 hp) max power, delivering an ARAI certified mileage of 18.32 kmpl. The NX 300h also features a 360° panoramic surround view monitor, a full color heads up display, a 10.3-inch split-screen multimedia display, Lexus’s first kick-sensor-activated power rear door, first-in-class power-folding and power-reclining rear seats and a 14-speaker hi-fi Mark Levinson system with ClariFi technology. Safety features include 8 airbags, ABS + vehicle stability control and an anti-theft system. And now, with its attractive pricing, this makes the NX 300h the total package in more ways than one.